Most commercial and industrial facilities are high traffic acitivity areas with delivery trucks coming and going, pedestrians and warehouse associates going here and there. Firstly, every organization should put priority on worker safety without compromise. 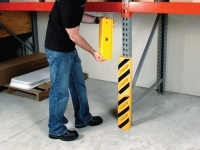 Our warehouse racking proctectors are designed to be highly visible so warehouse equipment drivers can easily spot them, preventing a disasterous possibly life-threatining collison with racking systems. 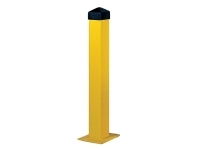 Choose highly colorful bollard posts to warn drivers of potential impact with buildings. Prevent injuries from accidental trips into operating machinery with our steel machine and rack guards. 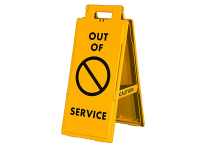 Cones and portable folding sign stands are very useful for temporary warnings of possible dangerous situation. Signs and lighting need to be guarded, again for protection of employees. Safety is super important in all facilites and should not be taken litely; it only takes a very small investment in the right protective product to have peace of mind. Some of the worst industrial accidents in the history of the US could have been avoided with proper safety solutions and measures. These incidents include The Centralia Mining Disaster of 1947 (111 casualties due to burning),Imperial Sugar Refinery Explosion of 2008 (13 casualties), Texas City Refinery Explosion of 2005 (15 casualties), and Texas City Disaster of 1947 (581 casualties) to name a few. According to the US Occupational Safety and Health Administration, such incidents can be avoided by implementing effective safety solutions in workplaces and industrial sites. Our wide range of facility safety products can meet various types of needs and be used for different applications. The heavy-duty cable protectors are insulated to reduce chances of any electricity-related incident. With proper installation of the equipment, any kind of cable-related incident can be avoided. 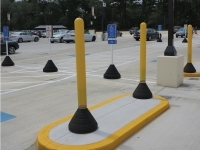 Heavy duty cable protectors are included among the workplace safety products, but these can be used in entertainment sites, mass congregation areas, roads and highways, shopping malls and any place where uncovered cables, cords and hoses can cause harm to pedestrian or vehicular traffic. 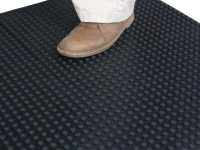 The commercial floor mats are effective facility safety solutions, specifically for sensitive areas such as laboratories, storage facilities, chemical stores, etc. The mats can also be placed on the floor near electric control units. 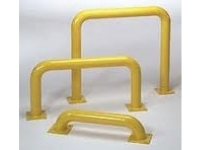 To reduce the damage caused by pallet jackets, forklifts and other such equipment, rack protectors can be installed. These are also used to hold magnets in place. Ultra beam protectors, included among facility safety products, reduce chances of damage by covering the beams. 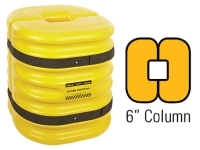 These can also be used to reduce inventory damages in warehouses due to collisions with heavy lifting equipment. 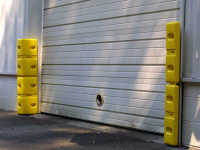 Wall impact protectors can reduce damages caused due to collisions. 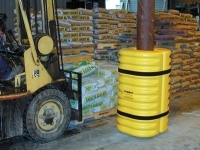 Manufactured with polyethylene or rubber, these are useful for avoiding damages due to collisions with forklifts or pallet jackets. These can also protect on-site workers. 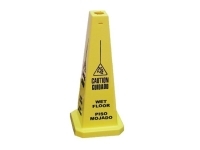 Warning signs and cones are included among essential facility safety products. According to the US Occupational Safety and Health Administration, warning cones and signs should be placed near job sites, construction zones, hazardous areas etc. These can also be used to restrict unauthorized access in specific areas and for warning people about upcoming hazards. 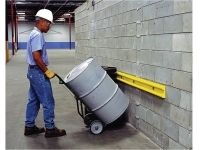 Spill containment pallets, walls and railroads are commonly used in industrial sites. 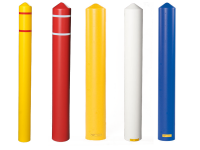 These can meet all your railroad spill containment needs and reduce accumulation of slippery or hazardous liquids on the ground. Industrial accidents are common not only in high risk areas such as oil, chemical, gas, aircraft and nuclear facilities. Accidents can also happen in other areas such as active construction sites, roadside construction etc. Proper health and safety maintenance is not only important for the safety of employees and workers, but also for protecting pedestrian and vehicular traffic against various types of accidents. Hence, our range of facility safety products can effectively meet all your safety requirements in accordance with federal and state guidelines. The Majority of our facility safety products are manufactured in the US to ensure the highest quality. To choose workplace safety products, measure the area of placement and specify your requirements to our representative. This is necessary as you may need to pair different products for maximum facility safety solutions. Doyou have high damage costs, especially in the warehouse? A Beam impact protector is an essential safety product which is often ignored, resulting in increased damages due to collisions. These are upright protectors which not only increase the visibility of exposed beams, but also provide beam impact protection and reduced chances of collapse. 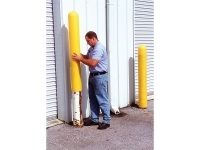 These are also used to protect warehousing racks from external impacts such as collision with pallet jacks, forklifts and other warehouse transport equipment. Maximum Support– Our steel beam impact protector can secure your beams, protecting them from collision or collapse. 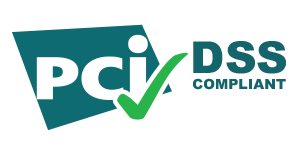 With more protection, you can also increase the load on shelves and place/store delicate or sensitive equipment without worrying about them being damaged. This way, beam impact protection can also reduce inventory damage costs. One Person Installation – Designed for heavy duty application, a beam impact protector does not require specialized hardware or other mechanical tools for installation. 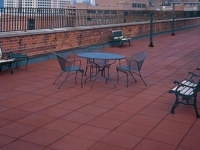 It can also be installed by a single person easily – just remember to order the correct size as per your requirements. 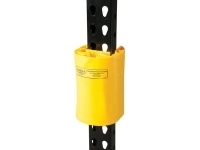 Our beam impact protection racks are suitable for up to 4” wide placements. Also, the steel beam impact protector does not have to be secured with straps or other such materials. It can be installed with a simple sliding process. 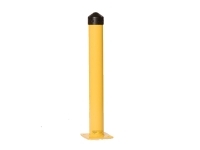 WSIB Approved Colors – These bright yellow and black beam and rack protectors meet the necessary workplace safety requirements set by WSIB. Heavy-Duty Magnet Support – All our beam impact protection equipment is supplied with heavy-duty magnets that do not allow the beam impact protectors to shift. Why are Beam and Rack Protectors Necessary? Within warehouses, pallet jacks, forklifts and other such equipment can cause accidents leading to damages and inventory loss. As warehouse operations require fast and speedy transportation, placement and movement, the chances of forklift collisions with storage racks is high. Twisted steel beams and other such damages can also cause the racks to collapse. Worse, the racks can also break if they are loaded inaccurately or burdened with extra weight. 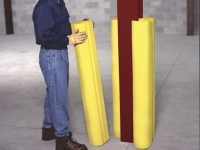 Reduced Warehouse Damage Costs - The high cost of warehouse damages can be avoided by installing a beam impact protector. As steel beams are more vulnerable to bending or breakage, a steel beam impact protector can adequately secure the beams from damage, scratching, breaking or bending, even if they collide with heavy warehouse equipment and machinery. The beam impact protector is specially designed and manufactured to absorb shock and has insulation to protect it from steel beams. Reduced Low Level Impact Collision–Many times, the recommended weight to be placed on the racks is exceeded. 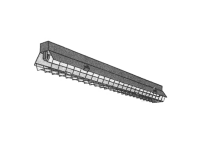 Combined with low quality beam manufacturing or previous damage, the racks can collapse. Damages caused due to high impacts on low beams can cause a lot of damage in warehouses. Hence, a beam impact protector can significantly reduce the chances of collapse and associated damages. Get in touch with our representative for further guidance, information or any related details about beam impact protector equipment. These are essential warehouse safety products for ensuring reduced damages due to accidents and collisions.